UK scientists have identified the country's first ash tree that shows tolerance to ash dieback, raising the possibility of using selective breeding to develop strains of trees that are tolerant to the disease. The findings, which could help ensure ash trees will thrive in UK woodlands, have today (22 April) been published in a report co-funded by Defra and the Biotechnology and Biological Sciences Research Council (BBSRC). Ash dieback is spreading throughout the UK and, in one woodland in Norfolk, a great number of trees are infected. However, there are exceptions which demonstrate very low levels of infection by the ash dieback fungus and here researchers have identified one tree, nicknamed 'Betty', as having a strong tolerance to the disease. The breakthrough comes after researchers from the government-backed Nornex project, led by the John Innes Centre in Norfolk, published the world-leading research report into ash dieback disease. The team compared the genetics of trees with different levels of tolerance to ash dieback disease. From there, they developed three genetic markers which enabled them to predict whether or not a tree is likely to be tolerant to the disease - even whether it is likely to be 'mildly' or 'strongly' tolerant. Betty, they discovered, was predicted to show strong tolerance. "This Government has invested more than any other country in research on ash dieback, and today's breakthrough is an excellent example of how the UK's cutting-edge science is leading the way to help support tree health. "We want to guarantee the graceful ash tree continues to have a place in our environment for centuries to come and this vital work is a major step towards ensuring just that." The Nornex report also indicates that the three genetic markers are more prevalent in UK ash trees than in those from some other countries. Reasons for this are as yet unknown but this could be taken into consideration for any future tree development programmes. "This unprecedented work conducted by British scientists has uncovered an exciting development in tree health." "It paves the way for tackling this destructive disease and will help ensure that Britain's stock of ash trees, and its countryside, remains resilient against pests and disease in the future." 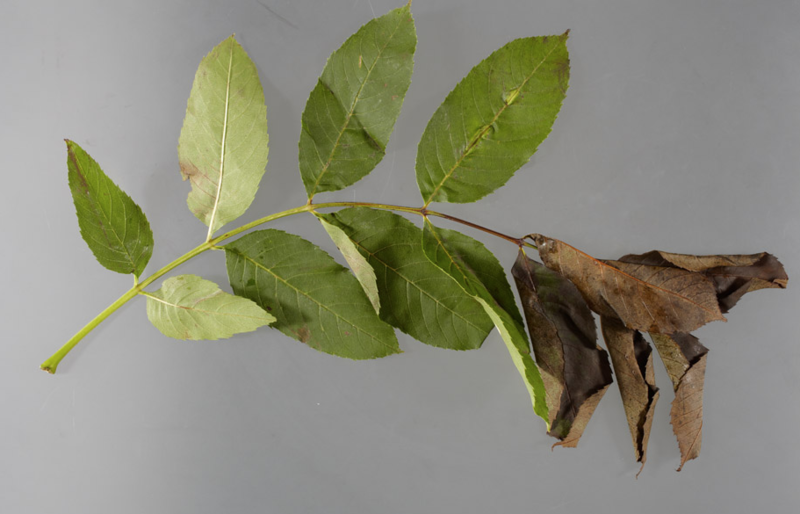 "The identification of genetic markers for trees with low susceptibility to ash dieback is a large first step, one of many that will be needed in the fight to help ash trees survive this disease epidemic. "It is astonishing that we have come so far in so short a time, and this success is due to the commitment and collaboration of my many colleagues and the funding they received from BBSRC, Defra and NERC." "Working across Government we issued this rapid response to ensure the UK's excellent plant science base was primed to help combat the threat of ash dieback." "Tree pests and pathogens present a significant challenge to our woodlands and habitats, but through fundamental bioscience research we can gain the vital insights needed to help protect the UK's trees."